Today upon entering the world of retail to get stuff for a show, I hit the Myer department store. As I hunted for ‘those stockings’, ‘that eye colour’ I found myself thinking only in facebook posts – my brain was churning with status updates – but I don’t remember any of them – they were so f*king banal, so f*king boring, so f*king lame. Each one explaining the slight psychosis I was experiencing in the shopping precinct, the futility of consumerism and the banality of my fellow shoppers. My brain was processing these thoughts while I was immersed in the world of shoppers, consumers – I felt as if I was wearing status updates on my forehead. Perhaps this was my way of averting the panic that generally wells inside me when I am in these environments. Thinking in status updates in a department store I hate, acted like a baby’s pacifier in my mouth, a Valium on my tongue. Thinking in status updates in a department store I hate, was a call out to the social network that affirms my identity – a social network where my posts get liked, where people poke me, invite me, comment me. When drowning in alienating consumer hell today – facebook status updates maintained my sanity – I think I need a dislike button. This post gets a big LIKE from me ! 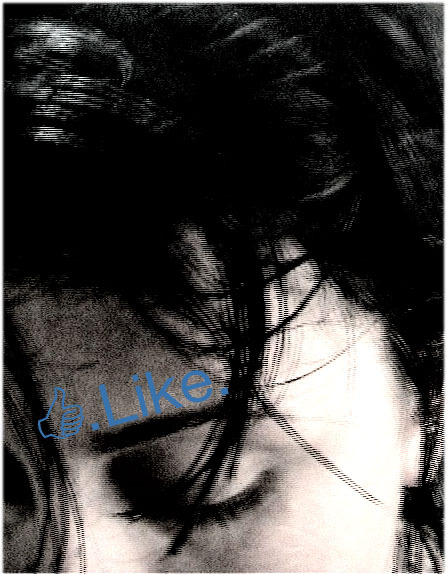 Yep, a big LIKE from me too….exactly how I feel when I enter such enviros…which is very rarely. I am just not sure if I want my brain to be using facebook to maintain it’s integrity in an environment designed to confuse me. I think my psyche has found a new and contemporary tool to resist the ‘scripted disorientation’ tactics of shopping centre architects. No longer do I need to have random uncontrolled tantrums in order to re-find my inner equilibrium, nor do I need to randomly lash out at unsuspecting shop assistants to balance the psyche’s scales. Some will be happy at the social networks infiltration of my anxiety management systems – it’s safer for them. Tell the kids to grab my hands, I am heading to th nearest exit! Well ekto – i never enter unless I have mapped the exits! And I have a ‘safe word’ which means we reeeeallllly need to get out NOW!